By Peter Anderson 2 Comments - The content of this website often contains affiliate links and I may be compensated if you buy through those links (at no cost to you!). Learn more about how we make money. Last edited January 21, 2019 . Over the last ten years we've seen a huge shift in the shopping habits of consumers. We've seen large numbers of people switching from buying at their local malls and shopping centers, to doing much of their shopping at online retailers like Amazon.com or Buy.com. Buying online is often more convenient, can lead to larger discounts due to coupon codes and other discounts, and often costs less out of the gate simply because you don't have to pay the sales taxes that you would at your local bricks and mortar store. (Although use taxes are often due depending on where you live). I'm one of those people that has changed their shopping habits pretty drastically. I can remember how I used to always be waiting for the big sales at my local Best Buy or Target in order to buy those big ticket items. Getting a discount usually meant waiting for a Black Friday sale, or finding a coupon in the Sunday paper. Now I just go online, do some research, and then find the best possible deal all while sitting at my desk. I was reading one of those “savings tips” articles yesterday in one of my wife's magazines while sitting in our living room. While I don't usually find a whole lot that I'm interested in those magazines, this particular one had an interesting five step plan to get the lowest price on just about everything you buy online. Today I thought I'd go through their 5 step plan, expand on it and talk about why it's similar to what I've done in the past, and why it works. The first recommendation made in the article was to do your research when it comes to the item you want to buy. You know you want a tablet computer, a new refrigerator or a new mattress, but you're not sure which one will give you the best value for your money. So where can you do some research to find what item will best fit your needs? 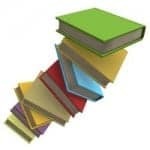 Cheapism.com: This site gives tons of reviews written on a wide range of products to help you get the best quality inexpensive items for your money. Read articles and product reviews based on merchandise categories, and see how the items you were thinking about getting stack up against the competition. For example, I checked out the “best cheap tablet” category, and found that my Google Nexus 7 got the highest reviews for cheap and high quality tablets. Amazon.com: Read the reviews of some of the products you're considering buying at Amazon.com. Their reviews are some of the best and most comprehensive out there and can give you a good idea of whether the product will fit your needs. Consumer Reports: Find more reviews of the items that you're thinking about buying. After figuring out which product you want to buy, the next step is to find the best price on the item that you want to buy. Doing that can be one of the tough parts. There are a few sites out there that aim to make it easier. Nextag.com: Nextag can help you to search by product or category to find the best price and discounts. Bizrate.com: Allows you to search for the best deals by category. 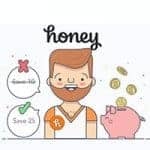 Honey: Honey is an automated coupon plugin for your browser that will find the best coupon code for your purchase and apply it automatically for you. Find out more in our review. Credit card shopping sites: A lot of credit cards have shopping portals where you can sometimes find good deals on the items you're looking for. Make sure to check them out and compare. 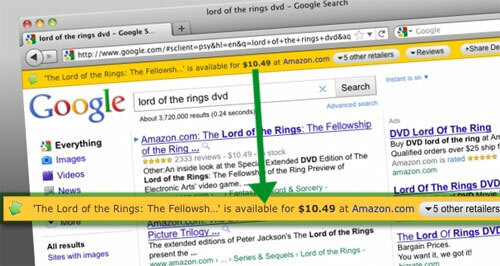 Invisible Hand Browser Add-on: When I'm actively searching for a particular item I'll activate this add-on for my browser. Just go to a site that carries the item, like Amazon.com, and the add-on will search and find all the best deals on that item at other stores. If it can find a better price it'll show you in a browser bar at the top of your window. Ebates.com: Ebates organizes their cash back rebates by retailer. I've used them in the past and they're one of my favorite cash back sites. Read a full Ebates review. You can also make money by referring friends. Drop App: Drop app can help you to get cash back on things you're buying online. Just link your credit cards and start saving! 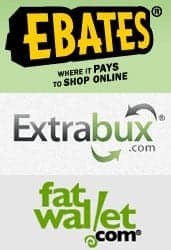 Extrabux.com: Extrabux is very similar to Ebates, and allows you to make cash back on your purchases, as well as on referrals. Swagbucks.com: Swagbucks isn't necessarily cash back, but you can get Amazon gift cards, among hundreds of other things. Read our full SwagBucks Review. When you're about to buy an item it pays to find out if the item you're looking for has a rebate available. The rebates can be found either through the manufacturer's site before you purchase, on a retailer's website, or sometimes through a third party site like PriceGrabber. Before you buy search for all three. At times you may even be able to double up on rebates via the manufacturer and retailer. As an example, I was recently looking to buy an electronic safe for our home. I searched around for a good deal on the item, and found that the item was on sale at Gander Mountain for $20 less than even the Amazon price. On top of that I found that there was a mail in rebate on the Gander Mountain website that I could fill out and mail in for an additional $15 savings. 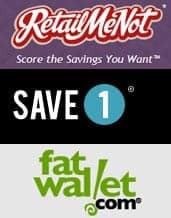 Retailmenot.com: If I can't find a coupon at the site above, this has become my go-to coupon site. They have codes for hundreds of sites. Paribus: Paribus can help you to find further discounts on the items you purchase by monitoring the item for price drops or other refundable events. Second, I do a Google search to find discounts. I just search for the “retailer name + coupon code” or a similar search, and usually several discounts will come up – not always on the first page. If you find a discount that is great enough while searching for coupon codes, you may need to reconsider where you're buying the item and move back a couple of steps and consider purchasing at another store. As shopping has shifted from bricks and mortar to online, prices have dropped and the potential to save money via extra cash back, rebates, coupon codes and other means is growing every day. When you are looking to buy something it pays to first research the item you're buying to make sure you're getting good quality for your money. Once you know what you want, it can pay off to do your research on price, and find out where the best deals are. 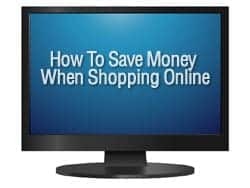 Next, you need to search for extra savings by shopping through cash back sites, finding manufacturer and retailer rebates and using coupon codes. If you do the extra legwork when shopping for your item it'll only take you a few extra minutes, but you could end up saving hundreds. Have your own favorite shopping sites or tips to save when shopping online? Tell us in the comments! This is quite detailed. Thanks for the information. I try to follow most of these steps and am pretty successful with finding discounts on products. The one place that I do not go is consumer reports, I have lost respect for that organization and find that their reviews are not really true compared to what actual users see. Good to find bargains on line, but we have to remember if you do not pay taxes when you order from places like Amazon, your state expects you to pay it and will ask you on your state income tax return. As I’ve read, we are legally obligated to pay this use tax even though it has not been done on a federal level.